Family-focused event returns for its 17th year. 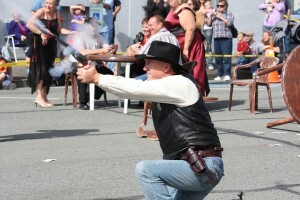 Originally designed to be a family-friendly fundraiser for the Sedro-Woolley Museum, Founders’ Day has come a long way since its debut in 1994. Organizers have tweaked the event lineup to find that sweet spot that draws crowds every year, said museum President Carolyn Freeman. “It’s still designed to be a family affair, with minimal or free admission for most events,” she said. This year’s agenda for the two-day event begins with breakfast on Sat., Sept. 10, from 8 to 11 a.m. at the Senior Center. At 10 a.m., a video of the 1914 bank robbery will be shown at the Sedro-Woolley Museum. 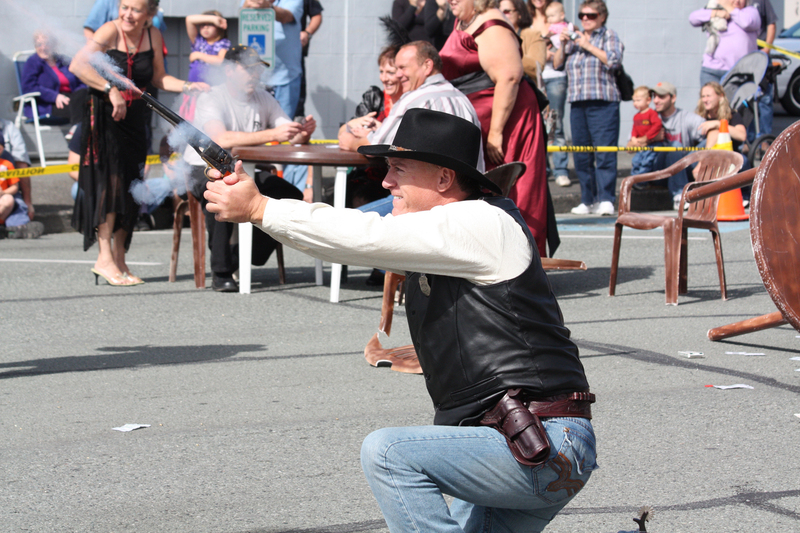 At noon, the popular bank robbery reenactment will play out in the street in front of the museum, followed by a 1 to 4 p.m. open house at the museum. Sunday takes the festivities to Riverfront Park for an open car show from 9 a.m. to 4 p.m. A community picnic in the park will serve up hot dogs, chips, a cookie, and pop for $3 a plate. For more information and a complete Founders’ Day schedule, call 360.855.2390 or go to www.sedrowoolleymuseum.org. 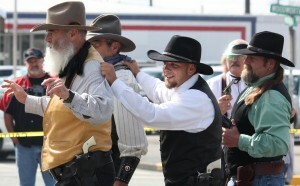 A scene from the bank robbery reenactment during Founders' Day 2010. In the bank robbery reenactment last year, the robbers were apprehended--a "poetic license" break with history.